Children are fascinated with fish. They love to watch them swim and most children love to go fishing. Kids also love making and eating snacks. Introduce the lesson by talking about different types of fish, their life cycle, habitat and what they eat. Show the students pictures. Discuss the letter "F" sound. 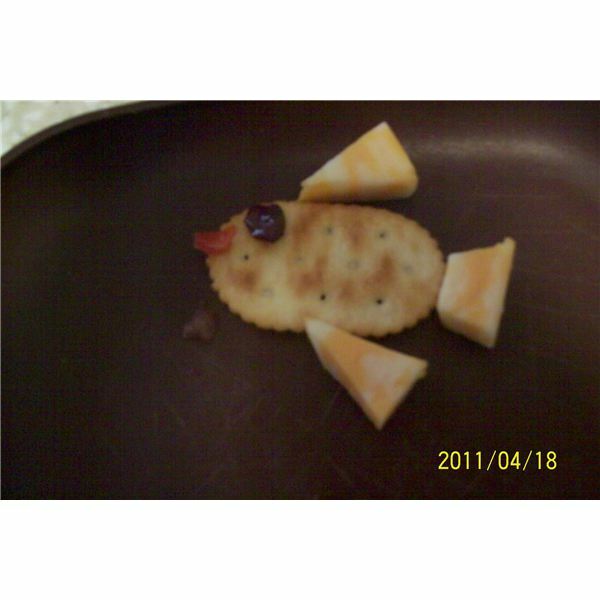 Kids will love making this fish snack for a preschool snacks fish theme. Give each student the above ingredients and let them create a fish. The teacher will make the first one as an example. This is a fun, healthy snack for preschool students. Read the book One Fish Two Fish Red Fish Blue Fish by Dr. Suess and follow with this fun snack children will love making. Students will help the teacher mix the food coloring into a bowl of whipped cream cheese. Teacher will hand out separate small containers of the blue cream cheese. Students will spread the cream cheese onto their rice cake with a plastic knife. The teacher will hand each child a card with a number 1-10 on it. Children will proceed putting the correct number of fish onto the cake. 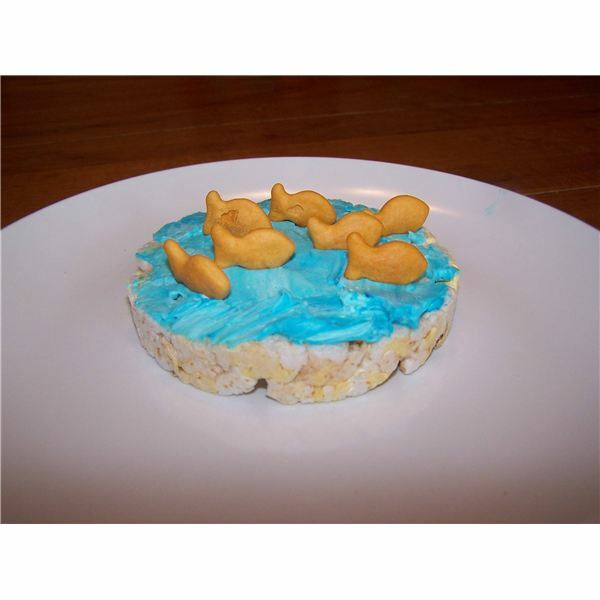 Here is another snack the kids will love making for a fun, preschool snacks fish theme. They can also practice their math skills. The teacher will provide students with the bread precut into a triangle shape, fish tail, banana slice, and different colors of Fruit Loops. The teacher will hand each student a piece of paper with a color and number word on it. Younger children may need to see the color and numeral instead of the words. The teacher will spread the peanut butter on the bread and have them put the fish together and place the correct color and number of fruit loops (scales) on their fish. Note: Check the students' files for peanut allergies before engaging in this snack recipe. Your students won't even realize they are practicing their math skills with this fun fish snack activity. Give students approximately 20 fish crackers, a napkin, a medicine cup or small container of peanut butter, a thick pretzel stick, 10 small paper plates labeled with the numbers 1-10. The teacher will tell the students the are going fishing with their fishing poles “pretzel sticks.” The students will dip their pole into the bait “peanut butter” and catch the number of fish on their printable plate. Teacher will check work and have children continue fishing. After they have caught all their fish they can eat them. 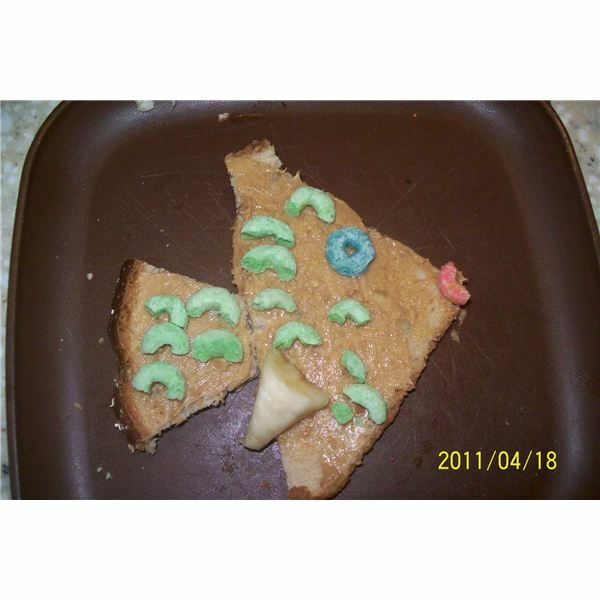 Here is a fun, edible fish craft for the preschool snacks fish theme. Have students assist in measuring and preparing their blue Jell-O as directed on package. Pour into individual clear cups. Let students drop gummy fish, sharks etc. into their ocean. Place in the fridge until it has set (about 4 hours). When set the fish will be swimming in the ocean. Have Students engage in this fun fingerplay before making their shark snack. 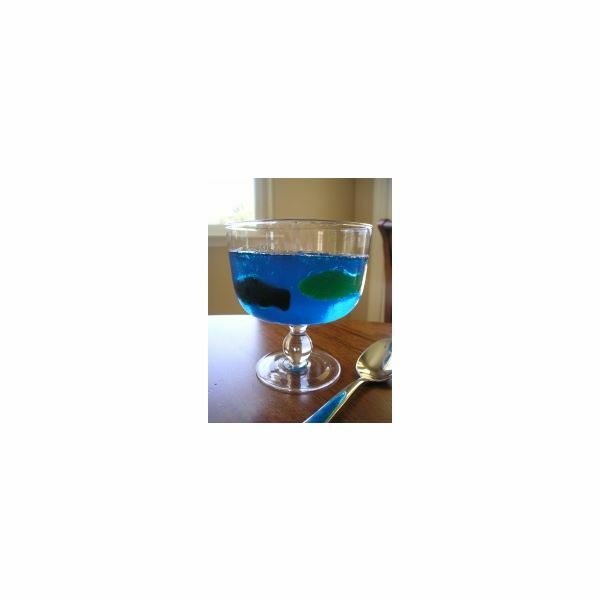 Give students several gummy fish, 1 gummy shark and a container or bowl of blue Jell-O for the ocean. Have students wait for the teacher's instruction. Teacher will tell students to put 3 fish in their ocean. The teacher will write the problem 3 minus 2 on the whiteboard. Instruct children to have the shark swim in the ocean and take two of the fish out of the ocean onto their paper plate. How many fish are left? 3-2=1.Teacher will continue with simple subtraction problems. After the lesson the students can enjoy their gummy snacks. Provide each student with several different colored fish crackers and give them each a pre-made graph. Goldfish brand makes crackers in colors using natural ingredients for coloring. Have students sort the fish into color groups, count the fish and graph the correct number of blue, green, red and yellow fish onto their graphs. They will then use their crayons to fill the graph in. After children are finished they may eat their fish. Practice the letter F sound and have students brainstorm different words that begin with the letter F. You can use food to help your child experience the letters of the alphabet by seeing the shape and creating the shape in three-dimensions as well as eating foods that are shaped with the letter. Provide each student with refrigerated sugar cookie dough. Have them shape the dough into the letter F, sprinkle with colored sugar and bake as directed on the package. Together eat and enjoy the letters. Using food is a great way to teach basic math and language skills. Children love making their own snacks and will go crazy over this preschool snacks fish theme.